I’ve noticed a pattern in my second hand shopping. In the summer, when the car boot sales are still going strong and waking up at 7am doesn’t involve stumbling about in the dark, I find more for my house than my wardrobe. The Second Hand Home Challenge thrived this summer as I picked up gilded mirrors, coffee tables and a decorative sewing machine. 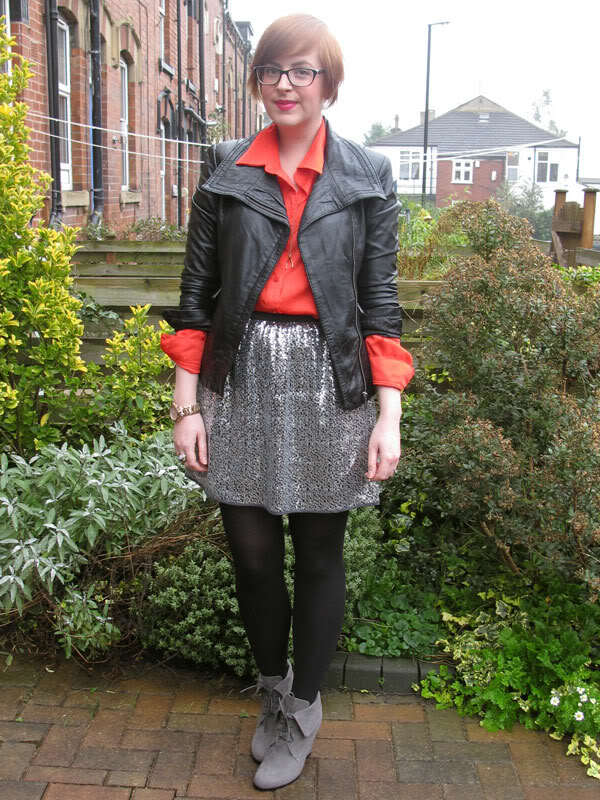 Are sequin skirts like buses? I’ve gone almost 26 years (argh, old) without owning one, and now I have two! Not that I’m complaining. This little beauty was just £3.99 from St Gemma’s Hospice – the loose, floaty shape is far more relaxed than my Zara pencil skirt version, making it perfect for daytime. Teamed with a simple shirt in tangerine (my new favourite colour), a classic leather jacket and wedge boots, it’s a grown-up look with just a little bit of sparkle to satisfy the Disney Princess in me. Have you done any second hand shopping recently? What did you discover? Gorgeous skirt! …. actually scrap that! GORGEOUS OUTFIT! I can NEVER find anything decent in my charity shops! although i do live in a small town! Stunning. Amazing that you found them from the charity shops..I will never find anything good in London. Come on in London?!? Knowing you had been at London, any advices? Wow amazing find! It is so pretty! Gotta love a bit of sparkle in your life! Absolutely spot on outfit Jen! You seem to be charmed when it comes to charity shop finds- for the life of me all I ever find is 5 seasons’ old Primark and bobbly M&S jumpers circa 1999. I must make a trip to the fabled St Gemma’s soon! Gorgeous, such a great find! I was very pleased with myself this weekend when I found an amazing Sisley silk shirt in Mary Portas’ Save the Children shop in Primrose Hill (which is an incredible charity shop, by the way – the best I’ve ever been to)…Pics on Take Courage coming soon! Doesn’t it feel so good to find a bargain? I think even if I won the lottery, I’d never stop rummaging through charity shop rails and car boots in the hopes of finding treasure! Great skirt, you can never have too many sequins. Not exactly fashionn but I bought these http://the-cameras-lying.blogspot.com/2011/08/distraction-techniques.html pretty plates to make a cake stand out of from a charity shop. I love having a good ol rifle through some second hand stuff. Knowing my money is going to a great cause makes it even more exciting! Oh my life that skirt is wonderful!!!! I envy you and your charity shop skills. 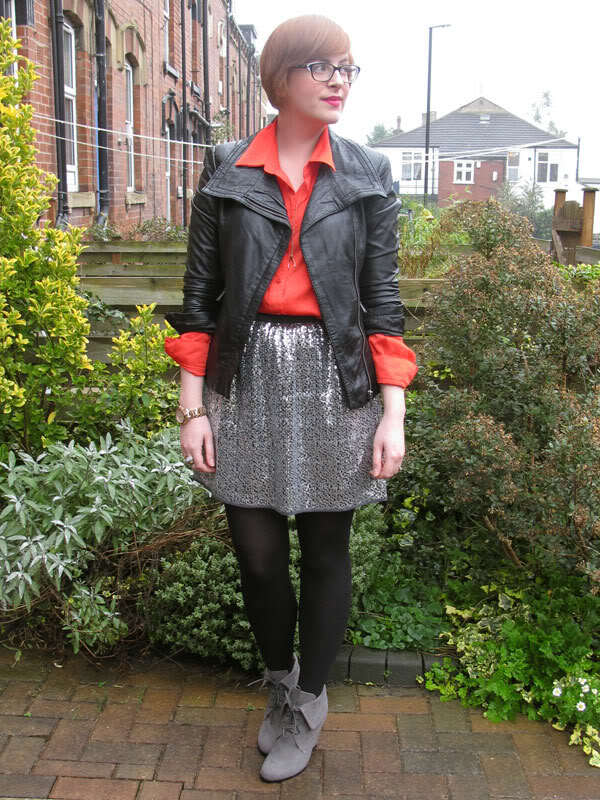 Absolutely gorgeous find….I’m loving a bit of sequined skirt action myself atm, well I aspire to it at the least! The jacket and shirt stop it looking too girly or glitzy….as always like what you’ve done with the pieces you’ve got. Lovely skirt, worn fabulously. Loving the splash of red. Such a fab find! Looks amazing! I love sequins an obscene amount, this skirt is amazeballs! the skirt is amaaaazing! It’s not overly sequiny which makes me love it even more. That is the most tasteful sequinned item I have seen in a long time- very pretty! I do like your boots- they’re all sleek like a pair of lovely British blue cats that have just been groomed! Love the skirt! I need some sparkly bits in my life! I am new to thrifting but I can see it becoming more and more of a habit! perfect outfit – amazing colour mix ! Fast becoming the charity shop queen Jen! Um you can never have too many sequins, well maybe, I suppose if someone shouted “Seveeeennnnn” at you then you’ve stepped too far into the sparkly realm. Gorgeous skirt Jen, and love the colour of the blouse against it. Love your skirt, what a bargain! Wow This outfit is truly Find of the Month! Superb Outfit with lovely color combination! This Skirt is truly rocking! You Looks Stunning in this awesome outfit!! Hi Jen, love the outfit. I was wondering whether you had announced the winners from the competition a few days ago? I have a gold Topshop Unique sequin skirt and I love it! 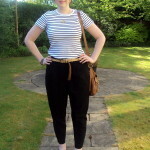 Lovely blog and lovely charity shop finds! amazing skirt! 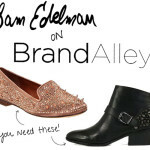 absolutely fab blog! Love this outfit. Just the perfect balance between glamorous and cool. Great looking suit and coat!